Heather McLean is a long track sprint speed skater from Winnipeg, MB. She began skating at three years old, tagging along to her brothers’ training sessions, and fell in love with the sport immediately. Heather represented Manitoba at the 2011 Canada Winter Games, winning gold in the 100m. In 2015, Heather won her first individual world cup medal in the 500m in Inzell, Germany. In January of 2016, Heather won both the 500m and 1000m titles at the Canadian Single Distance Championships, and completed her 2015-16 season by winning two more World Cup bronze medals. Heather began the 2016-2017 season ranked 6th in the world in the 500m, and set two new personal bests at the 2017 Canadian Single Distance Championships in Calgary, once again taking the titles in both the 500m and 100m events. Heather McLean turned 25 in January 2018 during the Long Track Team Selections, where she earned her ticket to the Olympic Games on Canada’s speed skating team. Heather was officially named to Speed Skating Canada’s team on January 10 along with 18 other athletes. McLean will compete at the 2018 PyeongChang Olympic Games in the Women’s 500m and the Women’s 1000m, on February 18 and February 14 respectively. PyeongChang will be McLean’s first Olympic Games. Off the ice, Heather is an ambassador for Fast and Female, an organization that assists and advocates the participation of young women in sport. CBC Sports (Jan 5 ) Heather McLean of Winnipeg won the 500-metre and 1,000-metre events Tuesday at the Canadian single distance long track championships. SPEED SKATING CANADA (March 12) Winnipeg’s Heather McLean collected her third bronze medal of the season in the 500m at the World Cup Final. 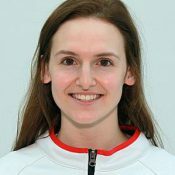 GLOBAL NEWS (Jan 30) Winnipeg’s Heather McLean continued her successful speed skating season on Saturday by capturing a bronze medal in an ISU Speed Skating World Cup event in Stavanger, Norway.